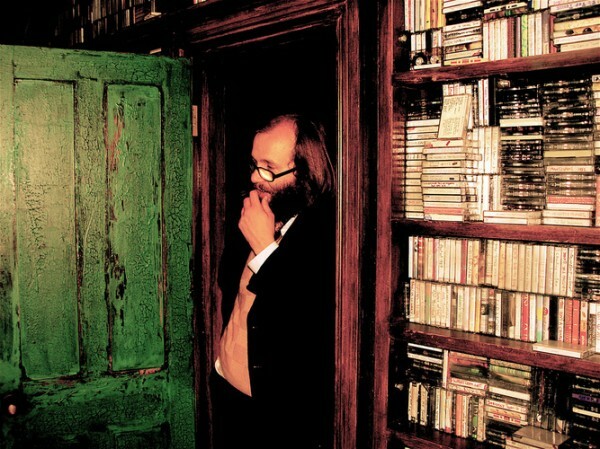 Daniel Kitson’s bittersweet exercise in story-telling. A man sits down to write his final letter before hanging himself. 24 years later, and over 30,000 similar letters later, he eventually dies. That is the intriguing premise of Daniel Kitson’s The Interminable Suicide Of Gregory Church, which premiered at the Edinburgh Festival in 2009 and now touring the UK. Kitson, widely regarded as the finest stand-up comedian of his generation, has perfected his ‘story-shows’ in recent years so much so that they are now as much as a delight as his traditional stand-up. The story of Gregory Church, as he warns at the beginning of the show, is “almost entirely made-up” but that doesn’t stop it being both uproariously funny and, in parts, heartbreakingly poignant. The piece begins with Kitson looking to buy a house in his native West Yorkshire, and stumbling upon a loft full of letters – thousands of them. One of these letters appears to be a suicide note, and Kitson, haunted by the story of the writer, somehow obtains all the letters and pieces Gregory Church’s life together. It is, in itself, an unremarkable life, but this is just the type of thing that Kitson specialises in. He skillfully brings in other characters who correspond with Gregory, and in a similar way to last year’s superlative Edinburgh show It’s Always Right Now Until It’s Later, by the end of the show we really feel like we know these lonely people who are just searching for a connection to each other. It’s beautifully written and performed – Kitson’s energy and enthusiasm are powerful and the 90 minute performance flies by in no time at all. His trademark love of language is also in evidence, as he dashes off beautifully constructed passages with only the slightest hint of his speech impediment. It’s the descriptions of the people who correspond with Gregory that really stick in the memory: Benjamin, the bullied school boy at the bus stop opposite Gregory’s house, the lonely spinster who feels out of her depth at her bank job, a job that she’d only taken to get out from under her elderly mother’s feet, and the mysterious Isabel who never replies to a single one of Gregory’s missives. It’s this last one that someone becomes the most poignant, despite us never finding out who Isabel is and what she means to Gregory. Kitson has an unerring ability to sum up human emotion with a simple phrase – such as his description of his favourite piece in graffiti (the phrase “Lucy, I’m sorry” painted in stark red paint in a suburb in Melbourne) or Gregory’s advice to Benjamin as to what true love really is. Like the best of his work, it’s bittersweet comedy at its absolute finest – one minute, you’re roaring with laughter, the next you’re blinking back the tears. With no gimmicks – the entire stage set is just a table with a bottle of water and a notebook – this is pure storytelling told by a man at the peak of his considerable creative powers. It’s a celebration of ordinary lives, quietly lived, brought to life in the most extraordinary manner. John is the former editor of, and current contributor to, musicOMH. He lives in Sheffield, in the shadow of the famous Crucible and Lyceum theatres, and also reviews in nearby Leeds and Manchester. John is also a huge fan of stand-up comedy, and can be often be found in one of Sheffield's comedy clubs, laughing like a madman.